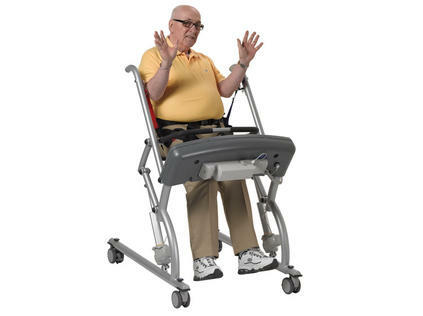 Supports independent movement for patients or residents with difficulty rising from a seated to standing position. 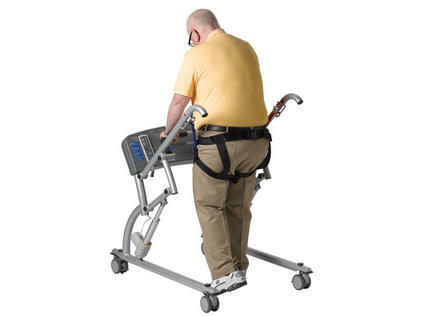 The Biodex Mobility Assist™ is a motorized stand-assist device that brings patients from a seated to standing position with the protection of a safety harness. As the patient stands using correct biomechanics, their center of gravity remains within the support of the device. Once standing, the patient has controlled body weight and standing balance and can initiate ambulation. 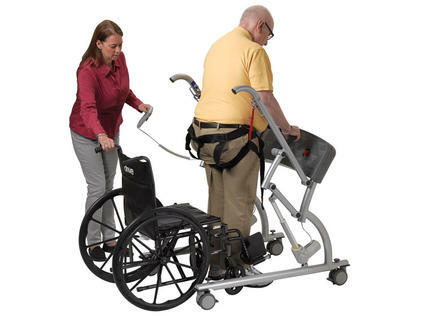 If they can move their legs, they can walk with the Mobility Assist. 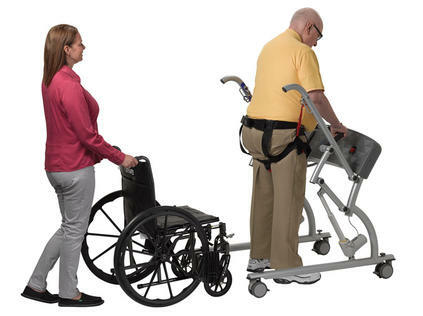 From bedside or wheelchair to anywhere in the clinic or hospital setting – even outside to enjoy good weather in the courtyard – the Mobility Assist will mobilize patients who have difficulty rising from a seated to standing position. Currently eleven states have enacted “Safe Patient Handling” laws that improve safety for both patient and healthcare provider. 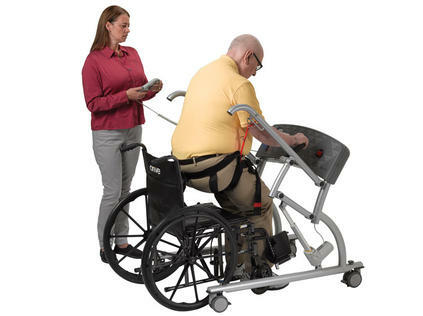 Powered lift-assist devices promote rehabilitation and facilitate functional recovery – while maintaining safe conditions. 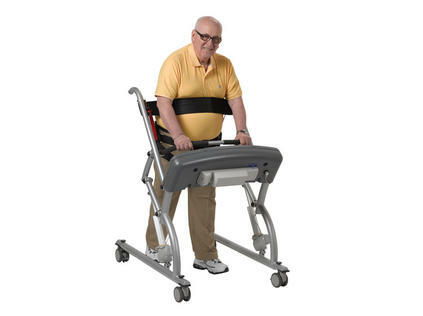 Frame – Fits around standard wheelchairs and can pass through 36" doorway. 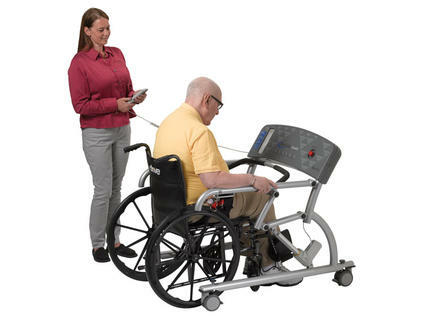 Motorized control – Either therapist or patient can operate the hand-held controller for assisted standing. 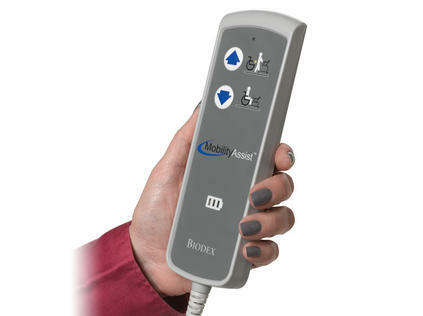 A quick guide showing how to unpack and get started with the Biodex Mobility Assist. Includes rechargeable battery, battery charging cable, stabilization strap and one universal safety harness.